Drop forged molybdenum alloy blades induction hardened for long life. 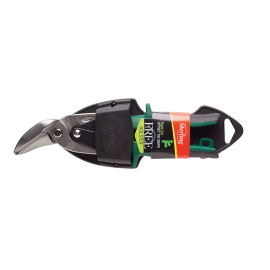 Cuts up to 1.5mm cold rolled steel or 1.0mm Stainless Steel. Squeeze quick-release handle catch. FREE Plastic Belt Holster. TPR rubber grip handles for comfort. Available left cut (red), and right cut (green). Drop forged molybdenum alloy blades induction hardened for long life. 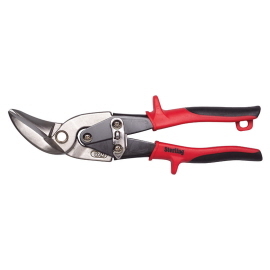 Cuts up to 1.0mm cold rolled steel or 0.96mm Stainless Steel. Drop forged molybdenum alloy blades induction hardened for long life. Cuts up to 1.5mm cold rolled steel or 1.0mm Stainless Steel. 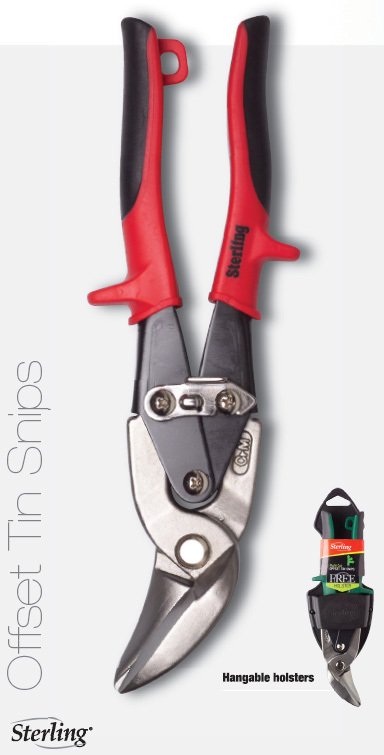 Traditional style straight cut tin snips. Drop forged high carbon steel with hardened cutting edges for maximum performance.